Abir: Both women need a reason to fight at ‘Mania. And Sasha needs to turn heel soon. 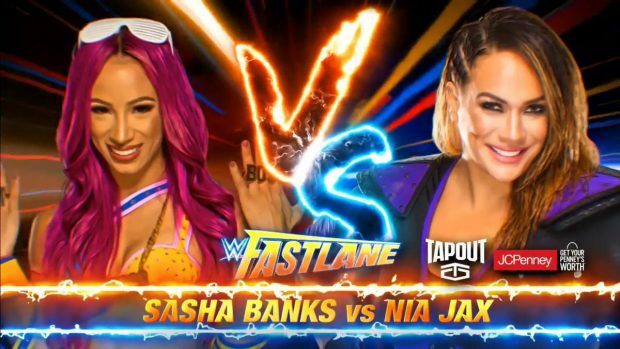 So, with Nia Jax picking up the win in a squash-like match, I see her as the overall winner, allowing Banks the opportunity to become the bad guy we know and love. Alex: Nia Jax’s getting this push, so I’m expecting her to win this… much to the groans of fans everywhere. Let me guess how she’ll win: running shoulder block, Samoan drop and lame leg drop. Not bothered about this one at all. Jack: What with a Fatal 4 Way on the cards for WrestleMania, I’m predicting a No Contest her to even the odds, presumably a double count out. These two will have bad blood spilling into WrestleMania for sure. Josue: Nia Jax came out on top at Rumble so I’m going to predict that Sasha Banks will win here to even up the score as we incorporate these two in the title picture for WrestleMania. Matthew: Sasha should get the win, hands down. BREAKDOWN: 2 for Nia Jax, 3 for Sasha Banks, 1 No Contest. Who do you agree with? Who is just dead wrong? What are your predictions? Sound off in the comments below!